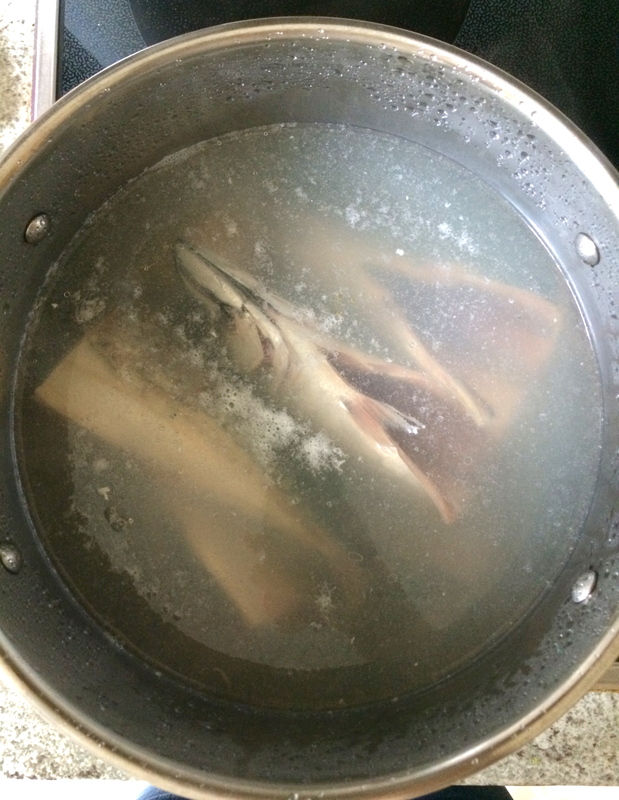 Step 3: Boil the fish in lightly salted water, until cooked. 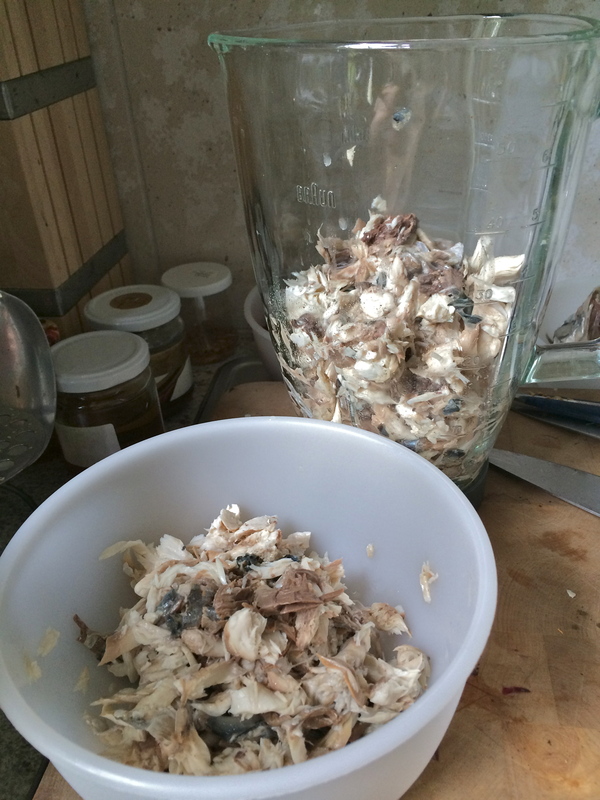 Step 4: De-bone the fish, shred the fish roughly with your fingers, and place in blender. At this point in time, your cat would probably be at your feet, trying to investigate the source of the deliciously fishy aroma. 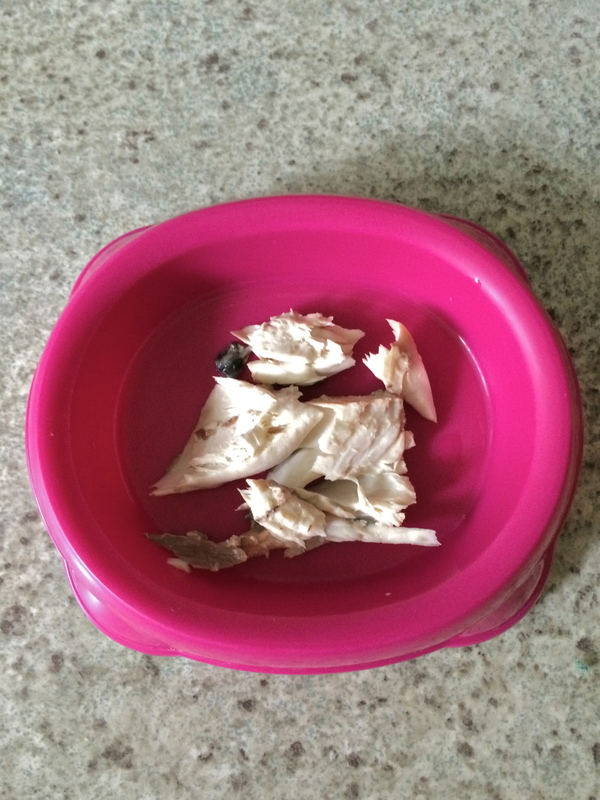 Step 5: Set aside a small portion of your shredded fish, and place in cat bowl. 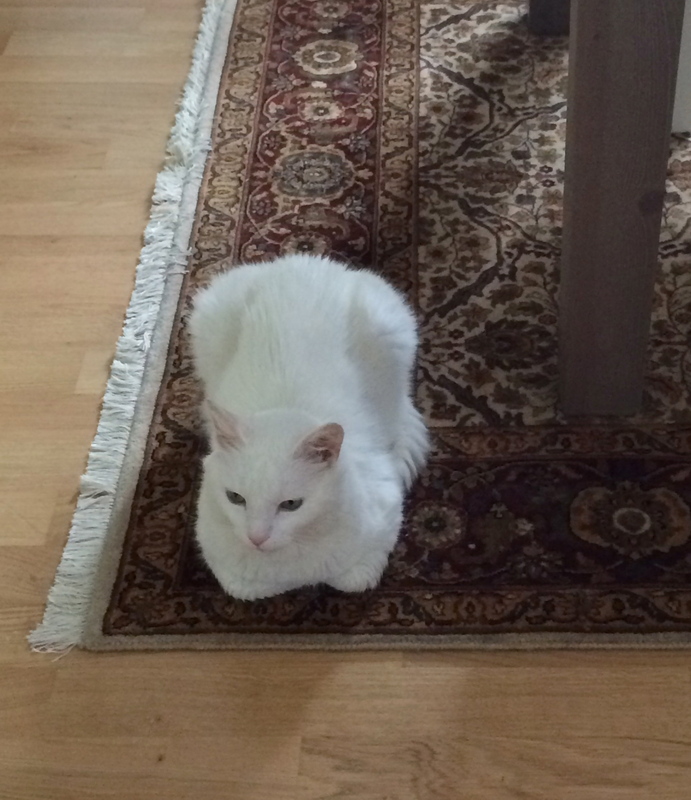 Your cat will probably be going bonkers by now. Step 7,8,9-end: It really doesn’t matter what you do now; or how you do it. 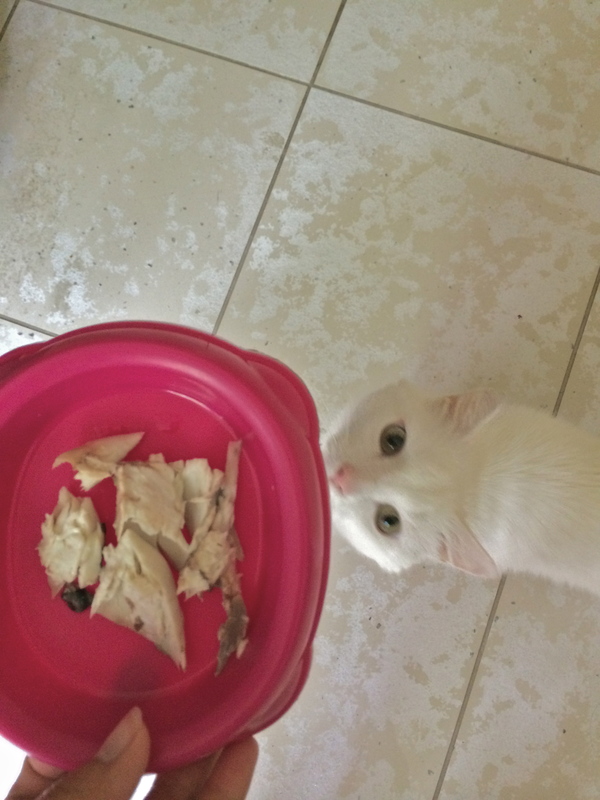 You could go on to make enough laksa to feed the entire canton and your cat wouldn’t give a toss. He’s had his fill, and he’s happy. The end.